Which devices have made the MIA 2019 longlist? With just weeks until the 2019 Mobile Industry Awards, we are delighted to announce the longlists for this year’s smartphone and accessory awards. 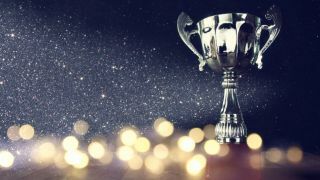 With categories including Phone of the Year and Hottest New Phone for 2019, the Mobile Industry Awards look to recognise the top manufacturers operating today. Now celebrating its 17th year, the Mobile Industry Awards (#MIA2019) represents the highest standard of excellence in the UK mobile industry - from the boardroom to the grassroots. This year’s finalists are set to be announced Friday 26th April 2019, with the winners collecting their trophy on the 6th June 2019 at London’s Royal Lancaster Hotel. So who is up for this year's awards? This category recognises the best flagship smartphone of the past year (being available on sale between 1st July 2018 and 29th March 2019). Our judges are looking for the device which excited customers the most, sold well and was the stand out phone for the year. This category recognises the most innovative phones of recent months. Applicable devices need to have been announced after December 1st 2018 and before March 28th 2019. Our judges are looking for the device which they feel is driving the most excitement among customers and is worthy of being crowned Hottest New Phone for 2019. This award recognises the smartphone manufacturer which has best utilised its products, market position and relationships to drive their overall strategy and reputation within the industry and beyond. This category recognises the phones priced between £100 and £200 released over the last 12 months which we feel represent the best value for customers. Our judges will be looking for devices that have not only sold well but also excited customers with great features and specifications for their price. This category recognises the phones priced between £300 and £450 released over the last 12 months which we feel represent the best value for customers. Our judges will be looking for devices that have not only enjoyed strong sales but also excited customers with stand-out features and specifications. Whether smartphones, laptops, tablets or 2-in-1 convertible or hybrid products, ruggedised devices have been one of the brighter points in the mobile computing market. This award looks to recognise innovation, portability and value for money for users of all markets. Whether it’s a case, a charger, headphones or screen protection, this award recognises the accessory provides customers with an innovative addition to their smartphone. This award recognises the accessory manufacturer which has best utilised its products, market position and relationships to drive its overall strategy and reputation within the industry and beyond. Our judges are looking for the manufacturer which continues to push the boundaries in innovation and excites partners to work with them. This category will reward the company who we genuinely are excited to see in our UK mobile industry and one to watch over the next twelve months. For all awards updates visit www.mobileindustryawards.com - we look forward to seeing you on the June 6th 2019! If you want to book your table or be involved supporting a category on the night as a partner, please get in touch with mark.fermor@futurenet.com.